The appointment of two Coptic governors in Egypt has been lauded as a major improvement for Copts and women’s rights in Egypt, despite coinciding with several attacks on Copts and their properties and the arbitrary closure of more churches. In late August, president el-Sisi appointed two Coptic governors; Dr. Manal Awad Mikhail, the first ever Coptic woman governor, to Damietta province, and Dr. Gamal Gad Saad to Daqahleya province, both in the delta Nile region. Coptic Solidarity applauds these appointments, as there were so far no Copts among the 27 governors and 18 deputy governors in the entire country. The appointments represent a positive step but should be understood within the context of the near absence of Coptic leaders in most every level of government, national security, academics, and more. Coptic Solidarity previously published a list titled 44 Simple Questions to the Egyptian Authorities Regarding the Situation of the Copts, which details the countless ways in which Copts suffer systematic discrimination in Egypt, perpetrated by the government and society. Coptic Solidarity urges more concrete steps to remedy this ugly situation. 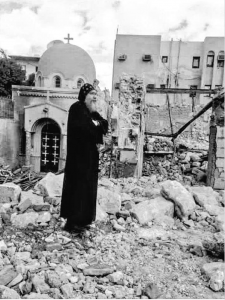 In addition to the ongoing systematic persecution, which Copts endure daily, they are also the target of increasing attacks on their persons, property, and churches. The Egyptian government has blamed these attacks on foreign terrorists despite the reality that fanatic Egyptians perpetrated the vast majority of these attacks against their fellow citizens. In the previous few weeks alone, three churches have been closed in Luxor area for “security reasons” after protests by Islamists demonstrators. 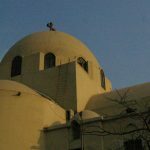 This pattern of arbitrary church closures bowing to Islamists’ violence makes a mockery of religious freedom for Christians as the Egyptian government fails to enforce the law. 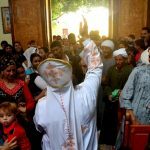 A church in al-Zeneeqa village, in Esna, was recently closed despite functioning as a worship site for 18 years, following violent demonstrations by Islamist mobs after Friday prayers. Along with 15 Muslim attackers, the authorities brazenly arrested five Copts, accusing them of “prayer in an unauthorized building, and stirring riots.” They were just given an additional 15 days in jail. Shortly after, a similar attack took place in Ezbet Soltan, in Minya, and was followed by a third attack in the nearby Demshaw village, where homes of Copts were ransacked by violent Islamist mobs, under the watchful eyes of the police. In October 2016, the Egyptian government passed a new law regulating the construction of churches. Despite its discriminatory nature, as the same guidelines do not apply to construction of mosques, the law was touted in Egypt and by many US government officials as a positive step. Furthermore, the new law purported to “grandfather in” 3,730 unlicensed churches and ministry buildings registered with the government, so they could continue to serve as houses of worship. To date, authorities have regularized only 220 of the 3,730 churches, as security forces continue to arbitrarily close more churches throughout the country. Coptic Solidarity urges all concerned to focus on the reality of the Copt’s situation, not on the polished rhetoric and the token appointment of a mere two Coptic governors.